Firstly, thank you so much on behalf of my family for Saturday's 'Airbnb' session with you at your house. It was simply inspirational and also timely, since we are preparing to transition to our 'retirement' home later this year and are therefore very much in need of a good stiff (but gentle) metaphoric kick in the bum to get the house on the road to at least a passing grade in sustainability. Anyway, to get down to far more mundane things, you asked for details of a few miscellaneous items in our abode. 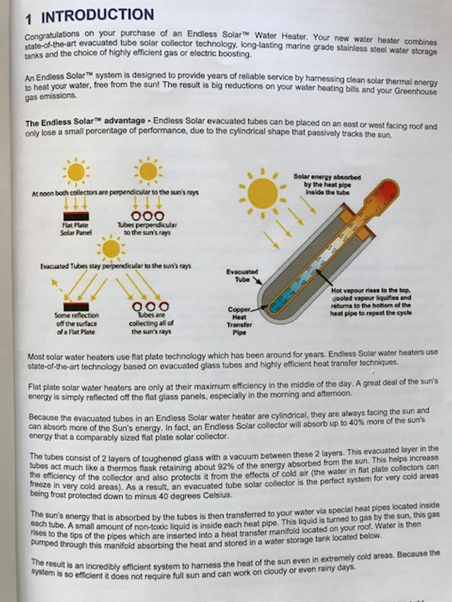 Firstly, in relation to our evacuated glass tube solar hot water collectors. Here are three photos I took this morning. (iii) each tube is removable and individually replaceable (they cost about $55 each to replace and it takes about 30 seconds to change them, not dissimilar to a large light bulb), so the system is very practical and serviceable by non-technicians. Our system has been in for about ten years; very successful and, apart from our painter smashing one tube one day recently - which was quickly and easily replaced, still going strong as ever. Secondly, here is a photo of our induction cooktop grill plate with handle that we bought on E-bay (cheap as chips). It allows us to use non-steel pots and pans because the steel hot plate heats up from the induction cooktop, then transfers its heat to whatever metal pot or pan you are using. So, for me being a Greek, for instance, I can make my Greek coffee in a traditional copper briki without any problems. So, don't let induction cooktop manufacturers tell you you can only use steel pots and pans. That's rubbish! Of course you have to watch out for the heat. Thirdly, I am also attaching a photo of our "solar chimney and designed and built into our staircase, which is not much different from your own. 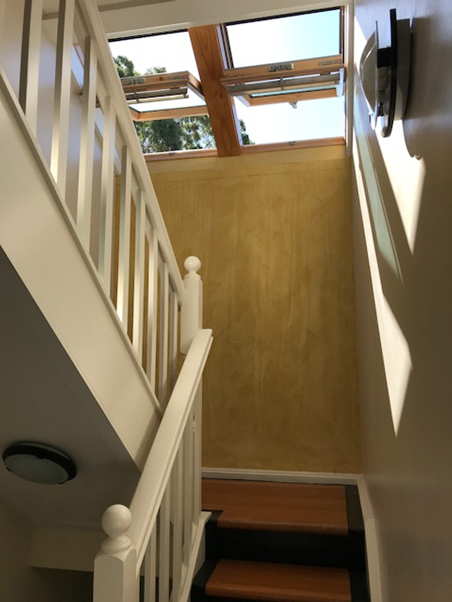 By having two operable Velux-type skylights in the roof over the stairwell, we can open them up on hot summer days and the cool air from the south side of the house is then drawn up the staircase pushing all the hot air out and creating a very pleasant slight breeze to boot. Passive solar design at its very best and most effective, plus architecturally attractive as well. Okay, that's about all you asked for, so I hope the information is what you were expecting and needing. Older PostHow much energy does my fridge use?